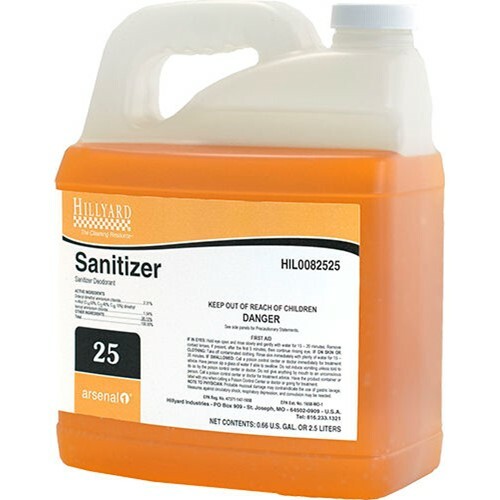 Home → Chemicals → Hillyard, Arsenal One, Sanitizer #25, Dilution Control, HIL0082525, Four 2.5 liter bottles per case, sold as One 2.5 liter bottle. A concentrated sanitizer/deodorizer formulated especially for food contact surfaces. It is an ideal product for sanitizing food utensils, countertops, drinking glasses, dishes, and silverware, as well as refrigerated storage and display equipment.